When I was in secondary school, we were still using payphones & dail-up internet. Technology has made giant leaps since then. Seeing all these students, it felt like I was speaking to a younger me. You see, I was once a student at SMK Batu Lintang in Kuching, Sarawak, too. Therefore, I have so much hope in my heart for these young people & I totally expect them to surpass me in every single way. My dream is that at least one of them will pay it forward & continue to inspire future generations of BL-ians. 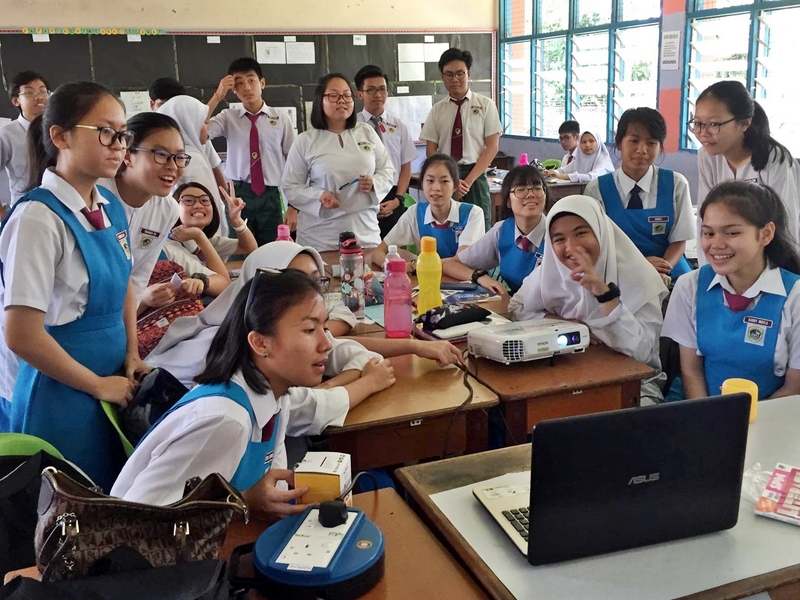 After getting her students to write responses to a postcard from NYC, their teacher, Ms Ho, capitalized on her student's interest with a video call. She overcame the headache of setting up AV technology in her typical low-tech Malaysian classroom so her students got to practice their English in an authentic conversation & experience the potentials of 21st century tools in the classroom. Respect. Her students asked several thoughtful & challenging questions that blew me away. I'll share a few of them as it'll really get you thinking. 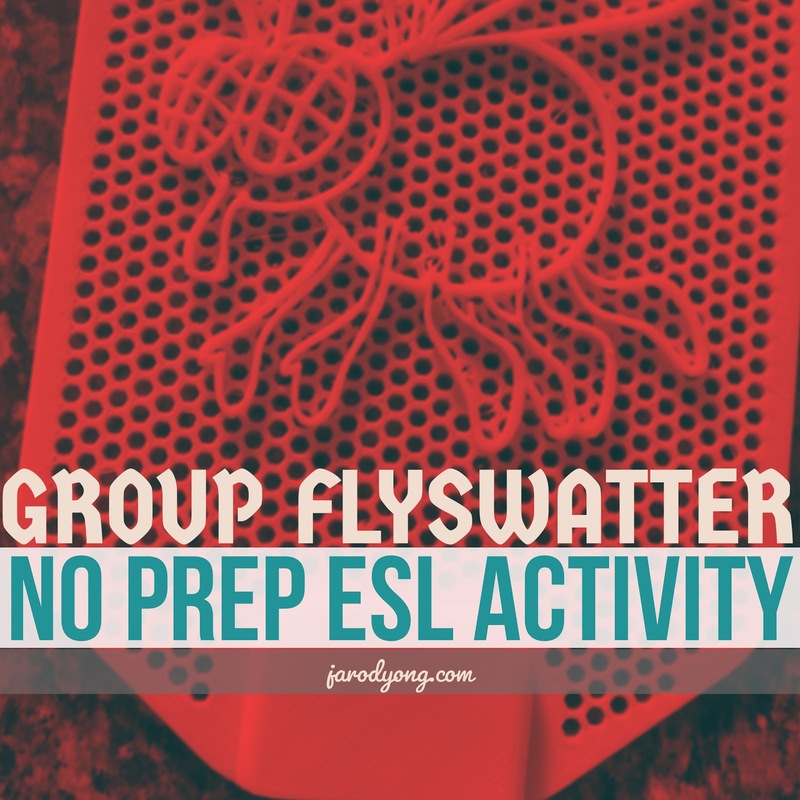 Want a great lesson starter? Perhaps you're looking for a pick me up in the middle of a tough lesson? What do you do to wake your students up after a long day at school? 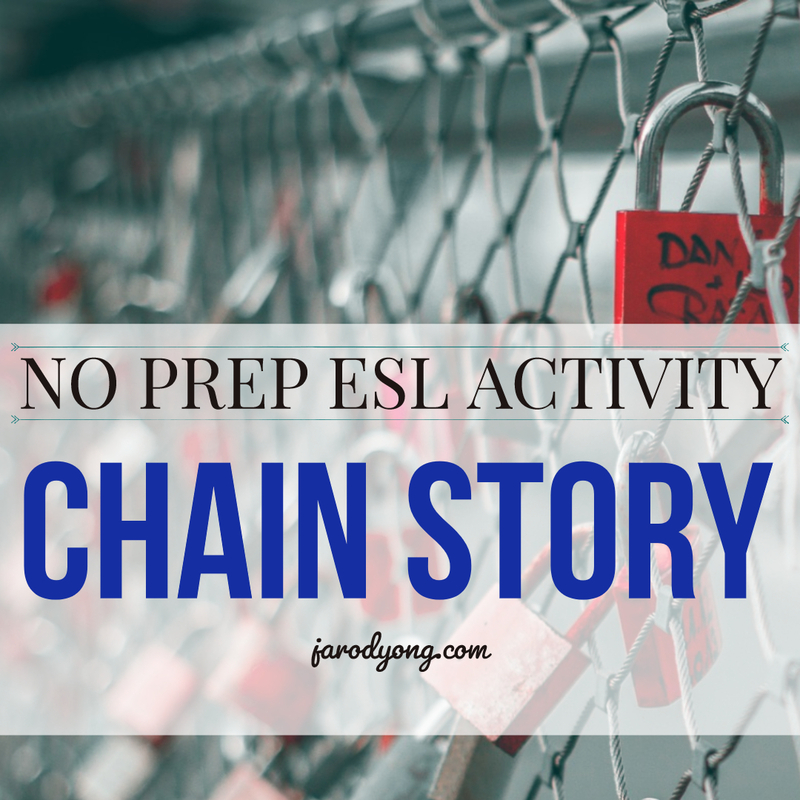 Why not practice previously taught vocabulary at the same time? 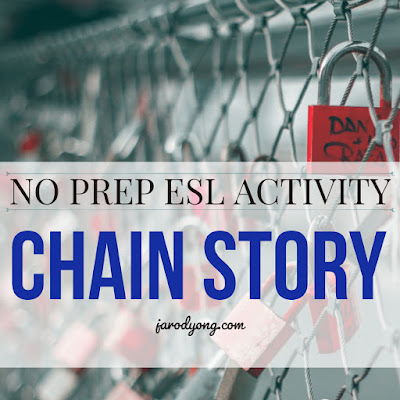 We all know that repeated & varied vocabulary practice improves retention. However, the drills necessary for this to happen might be too tedious to carry out in some classrooms, esp if your students are not as committed or your class periods are scheduled at the end of the school day. 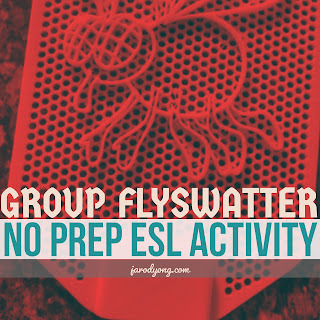 Here is an engaging No Prep ESL activity that works for both young & old. You'll allow your ESL students a chance to stretch those bones without compromising valuable instructional time. Being able to study abroad is a luxury & a privilege enjoyed by roughly 55,000 Malaysians every year (from 2003-2013). It may seem like a big number but it only constitutes roughly 5.5% of the tertiary student population (from 2000-2010). Academically, there is not much difference between degrees earned locally & those abroad. The special-sauce is in the broadening of the mind & the ability to consider multiple perspectives after being exposed & forced to survive in a foreign culture. With a simple gesture, you can share a glimpse of what you've learned with a new generation of Malaysians with the hopes that your postcard will spark young minds & inspire them to surpass your wildest imaginations. Perhaps you can send a few back to your past schools. I'm sure the students there will be inspired by what you have achieved as an alumnus. You might need to do some liaising. I decided to send my cards to teachers because I am a teacher & I believe teachers make a difference every day. Having taught in one of the most extreme circumstances in Malaysia, I knew that Malaysian teachers face an uphill battle every single day whilst performing their most essential purpose = preparing the next generation for 21st century challenges while climbing mountains of paperwork & mindless midnight data entry. Teachers don't often get the support they need for the work that they do. Therefore, while I was studying, I facilitated a video exchange program between the US-Malaysia. Additionally, upon my graduation, I sent postcards to 163 schools in Malaysia. Check Out All The Creative Ways Malaysian Teachers Used Their Postcards! How do you make sure your students pay attention to new vocabulary you've covered in your lessons & incentivize them to return to those from time to time? 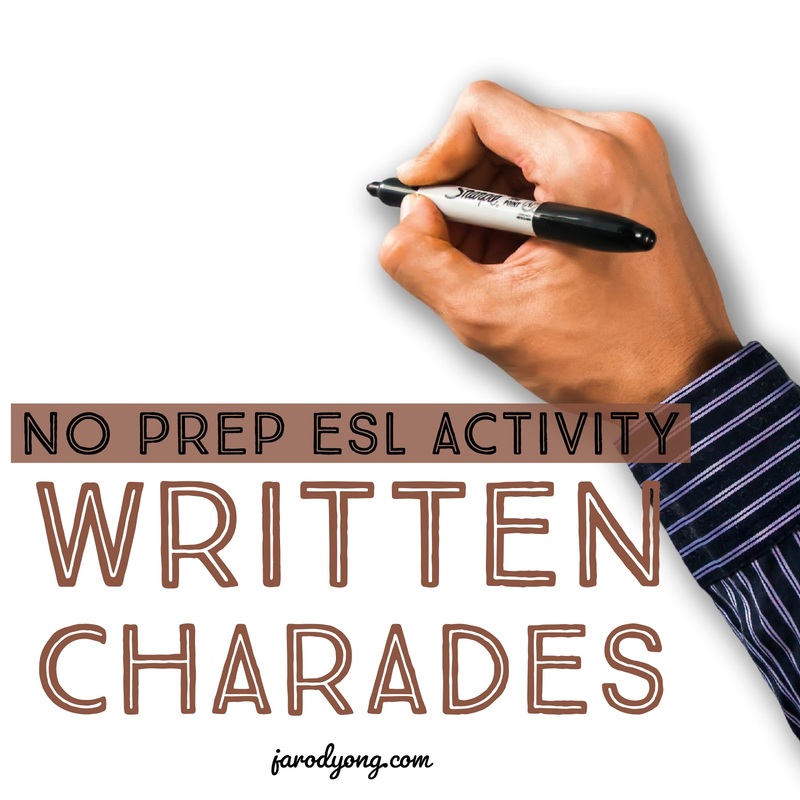 Every teacher knows charades & it's classic vocabulary game that's great for all levels & ages. But, what happens when one student/team completely dominates the game every time you play it? How do you make sure that everybody gets a chance to participate? Also, how do you know if your students can spell the words correctly?